IBG once again relocated to the Town Wharf for the evening, but little is known of the proceedings with an unfortunately spartan set of reports. As we only know of two games that were played I will try to fill you in as best I can. 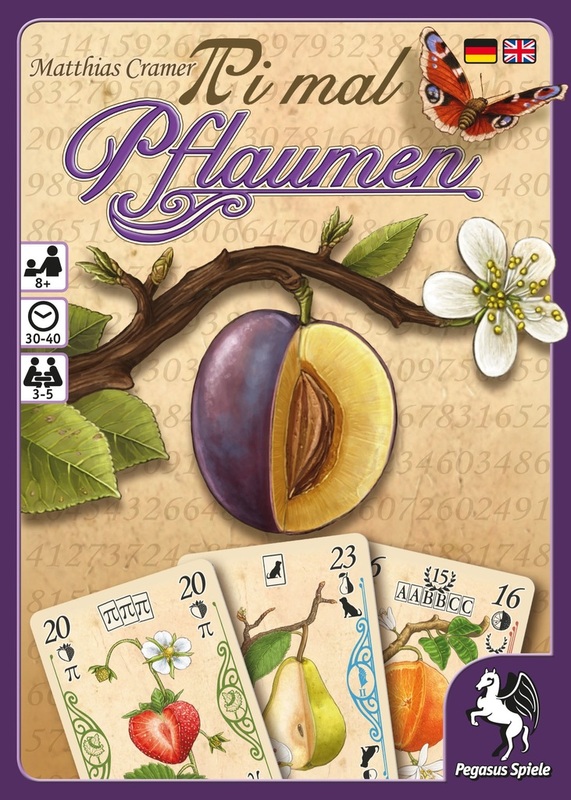 I was surprised to discover that the exotically titled "Pi Mal Pflaumen" is not German for "pick my plums" but something more along the lines of "the rule of thumb". I can only guess that they are referring to Tom Thumb, who is the only Thumb that I know of apart from Mr. Leftie and Ms. RIghtie, and I'm still struggling with what his rules are and what they have to do with plums in the first place. 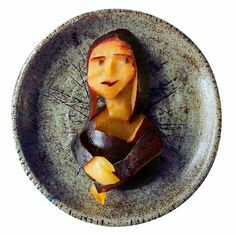 I guess that Peter Piper once stuck his own thumb in a pickled plum, and therefore there is a sound link that suggests this is a game all about tongue twisters based on various fruits with the winner being the person left with the smallest fruit at the end. No, I don't have a clue what this is really about, but as John forgot to tell us all my rambling is the best you're gonna get for now. 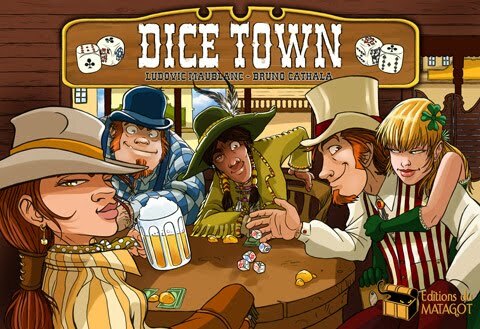 The other game that was played was Dice Town, which I can reliably inform you, according to James at least, is not the same game as Dice City, which is the much larger conurbation situated further upstream and the alledged source of all the brown river water that we're not supposed to drink. Of course, I remember when all of this was just Dice Fields, as far as the eye could see, back when Dice Village was merely four pips and a tavern on the crossroads. That's about it (apparently) so enjoy so plum-based art for now and see you next week! Update: David has chipped in with some additional revelations on the night that (almost) never was. With San Juan: Second Edition and Warhammer Quest: The Adventure Card Game in full swing John B, Sarah and I settled down for a game of Dice City. A charming game of dice-crafting with multiple paths to victory. Each of us took a slightly different strategy with John B going for a combination of both military and trade routes whereas I had decided to build an engine to grab the high victory point trade ships, the only question was would I have time to implement my strategy. Sarah meanwhile had opted for something in between. After a while it reached the critical moment where John B could have ended the game but thankfully for me let the game continue a few more turns which allowed me to grab the much needed trade ships which propelled me to a close victory. I enjoyed it more than something like Machi Koro although it can feel like a bit of a solitaire experience with limited player interaction. There is also the element of luck with the dice rolls however there is always something to do and you never feel as though a poor roll screws your turn too badly with plenty of chances to mitigate these by spreading building placement. Even though I'm not a fan of the artwork and theme I enjoyed it enough to happily play it again as it's fast and fun with a lot of options. Once we had finished we headed over to see that TomToo, Raj, Gareth and James B were struggling to overcome the dungeon in Warhammer Quest: The Adventure Card Game (not to be confused with the far superior Warhammer Quest *ahem* ) whereas the other table had finished up San Juan: Second Edition and rolled out El Grande only to be told they had to move downstairs as the upstairs was closing as they had just set up. Cue the mass migration of Spain. I was feeling under the weather a bit but decided to watch TomToo et al fall at the final hurdle in Warhammer Quest: The Adventure Card Game. It looked as though they came close with Gareth the last man standing before his eventual demise. After that I called it a night (and the year).